This is a rectangular Coreco Motor Oils porcelain sign. This particular Coreco Motor Oils sign is predominantly red with the yellow shape of Pennsylvania in the center. 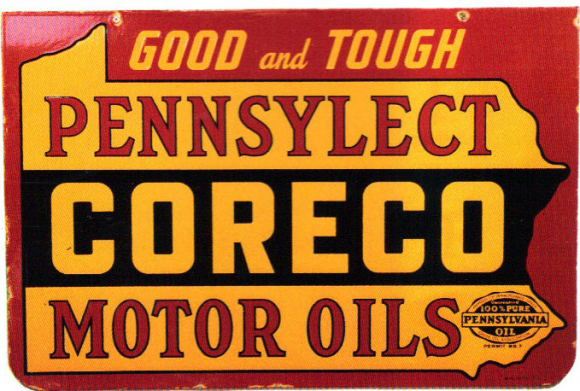 It reads, “Pennsylect Coreco Motor Oils, Good and Tough”.